A Florida jury awarded Royal Caribbean passenger Edgardo Lebron over $400,000 after he sued the company for an injury he sustained while ice skating aboard one of their ships. Adventure of the Seas. 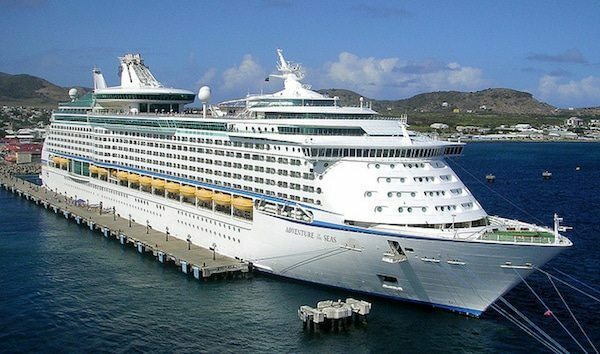 Photo via Royal Caribbean. Yahoo News reports that in mounting their defense, Royal Caribbean argued exactly those points, saying that Lebron should have noticed the improperly laced skate and that falling is “an inherent risk” when skating. Despite this, a jury sided with the cruiser, finding Royal Caribbean to be 65-percent liable and awarding Lebron $433,534. Of course, this raises many questions for both cruisers and the companies whose ships they sail upon. Where is the line drawn between a cruise line’s liability and personal responsibility? Not to mention common sense? These issues come up repeatedly when discussing cruising incidents – whether it be the man who drank too much and fell through a hatch (whose subsequent lawsuit was dismissed) or passengers who are left behind by a ship after returning late from a shore excursion and then demand a refund. Do you believe the jury was right to award Lebron over $400,000 for the injuries he sustained?